Swalley Irrigation District’s irrigation modernization project will accelerate in 2019, thanks to $11.2 million in federal funding, awarded this month by the USDA’s Natural Resources Conservation Service (NRCS). 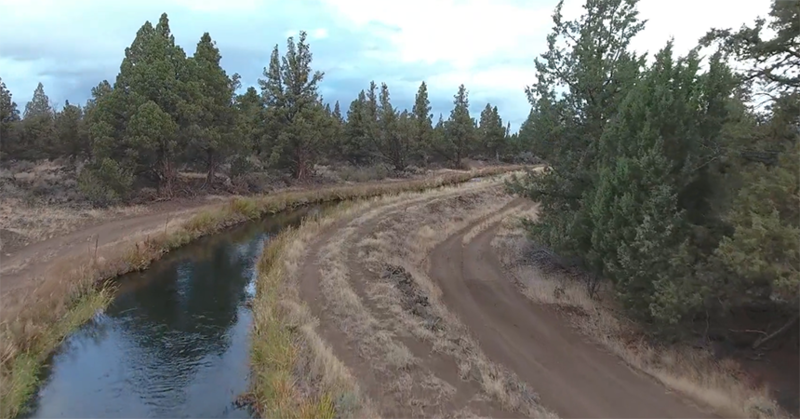 Swalley will use the funds to modernize and pipe 16.6 miles of their remaining open canals to improve water conservation, water delivery reliability and public safety, as well as contribute to increases in streamflow in the middle Deschutes River. The project will occur in phases over seven years. When completed, these irrigation improvements will save Swalley 1,146 megawatt hours each year, roughly enough energy to power 112 average homes. Funding for Swalley’s modernization also includes $646,000 in state funding from the Oregon Watershed Enhancement Board (OWEB). OWEB works with communities across Oregon to help protect and restore healthy watersheds. The modernization of Swalley’s remaining open irrigation infrastructure will conserve up to 6,172 acre-feet of water annually for instream and agricultural use. The improvements will also reduce the irrigation district’s operation and maintenance costs, as well as reduce electricity costs and consumption from pumping. Swalley Irrigation District currently serves 668 patrons, which includes Bend Parks & Recreation District, Bend-LaPine Schools, the City of Bend, Avion Water, the US Forest Service, and many others. Swalley is one of nine irrigation districts in Central Oregon in various stages of participation in the Irrigation Modernization Program, which was created by Farmers Conservation Alliance (FCA) with support from Energy Trust. For example, Three Sisters Irrigation District has modernized 92 percent of its irrigation system, including installing a hydroelectric plant on one of its major pipelines. The hydroelectric plant generates 3.1 million kilowatt hours of electricity each year.